In 2016, the Bureau of Labor Statistics (BLS) estimated that over 800,000 people drove a light truck or delivery service vehicle. Although delivery trucks are smaller than other commercial trucks — those big rigs, 18-wheelers — they can still weigh up to 26,000 pounds, causing severe injuries in an accident. 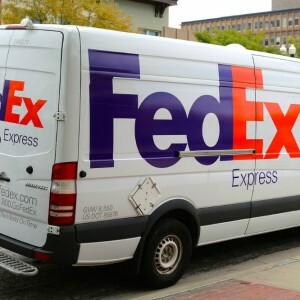 Delivery trucks tend to be light vehicles , such as a truck or van, with a capacity of less than 26,000 pounds gross vehicle weight. 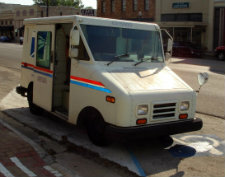 They primarily deliver or pick up merchandise or deliver packages. Are expected to drive in inclement weather and deliver loads within a set amount of time. Deliver in busy city streets and in residential areas having more exposure to pedestrians and bicyclists. Often park in the street or double-park, meaning they often stop and start very quickly. Typically, when an accident involves a delivery truck, the company that employs or contracts the driver is usually the one responsible. Many of these companies are large corporations, such as Federal Express, UPS and DHL. Have you been seriously injured in a delivery truck accident? When you need to understand your legal options and the likelihood of obtaining compensation after a delivery truck accident, contact the Kansas City legal team at Nash & Franciskato for a free, no-obligation case evaluation.